Everything Apple is underway. Follow CNET's live coverage from the Steve Jobs Theater on Apple's new Cupertino campus, and watch our live commentary. 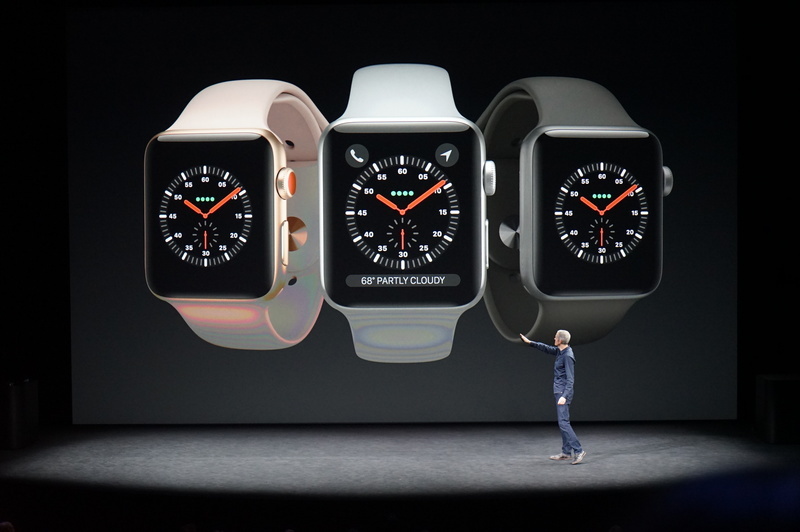 So, the watch will be the same size as Series 2. Samsung Gear S3 had to get significantly larger, and so did Android Wear LTE watches. Also no antenna in band, something some other watches did. Apple isn't the first to offer a smartwatch with a standalone cellular connection -- Samsung did it years ago. Williams is testing out the Series 3's cellular capability. 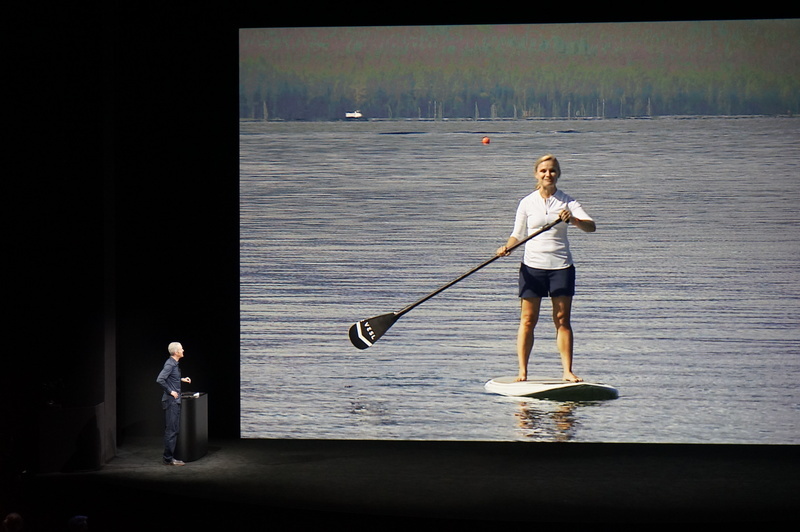 His daughter is out in the water rowing and talking on her Apple Watch Series 3. She really is a team player. If you're on a raft, alone, you'll be able to make wrist calls! Williams: I'm going to go rogue for a minute. 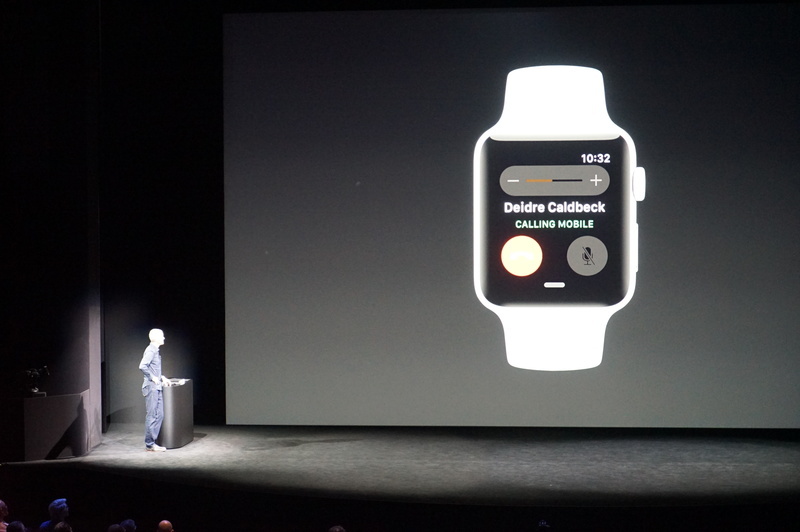 He says his daughter is out in the water, and notes the only mic is on her Apple Watch. That's just darn close to magic, he says. Microphone on-watch tuned to make calls better outdoors, it seems. 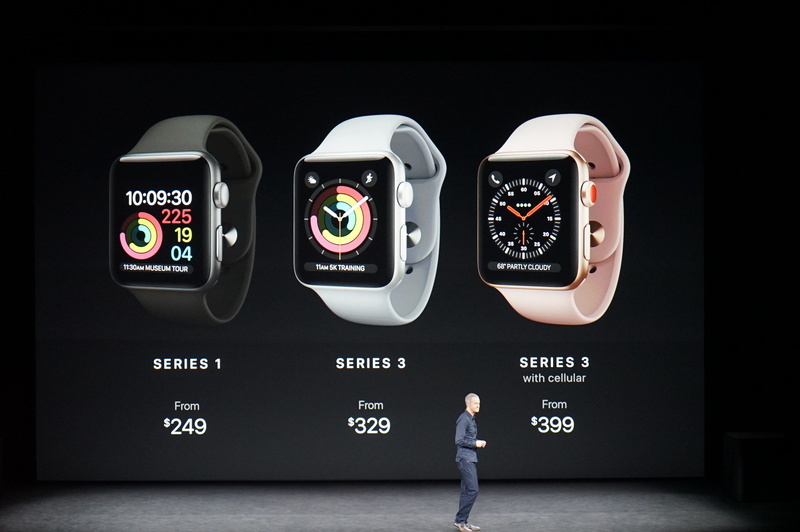 Series 3 comes in a new gold aluminum finish, with silver and space gray. There's a new sport loop band. Sport Loop is a wrap-around nylon. No buckle. 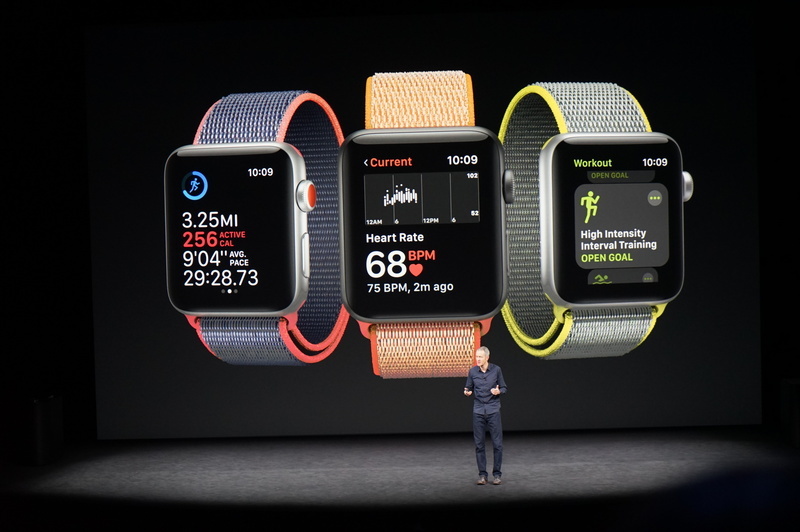 There are exclusive new colors on the Apple Watch Nike fit edition. Sport Loop looks like a slap bracelet for Apple Watch! There are new colors on Apple Watch bands. 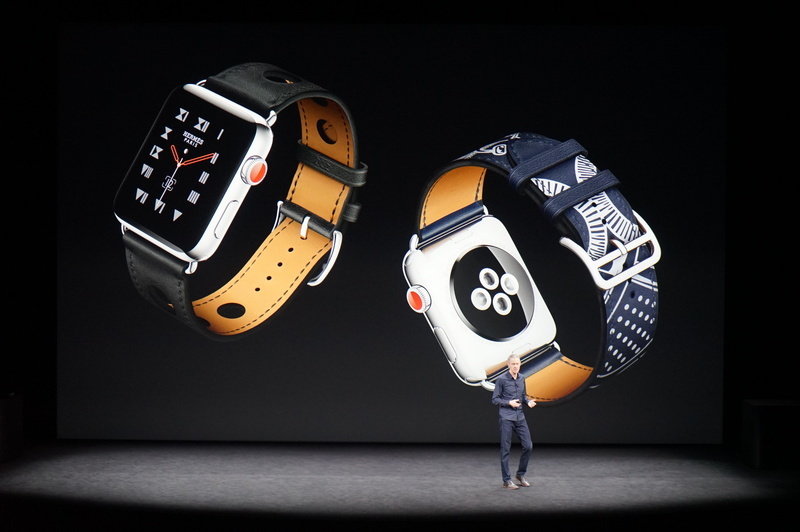 New Hermes bands and watch face styles. 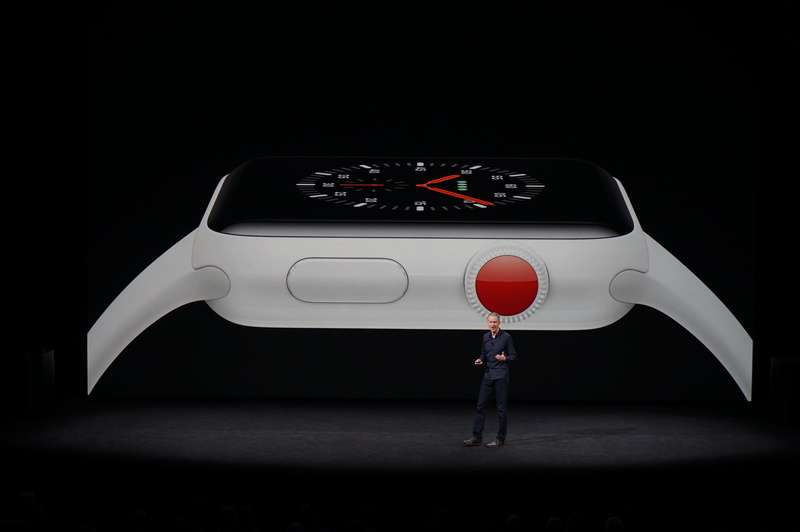 Apple's adding a gray ceramic finish Watch. 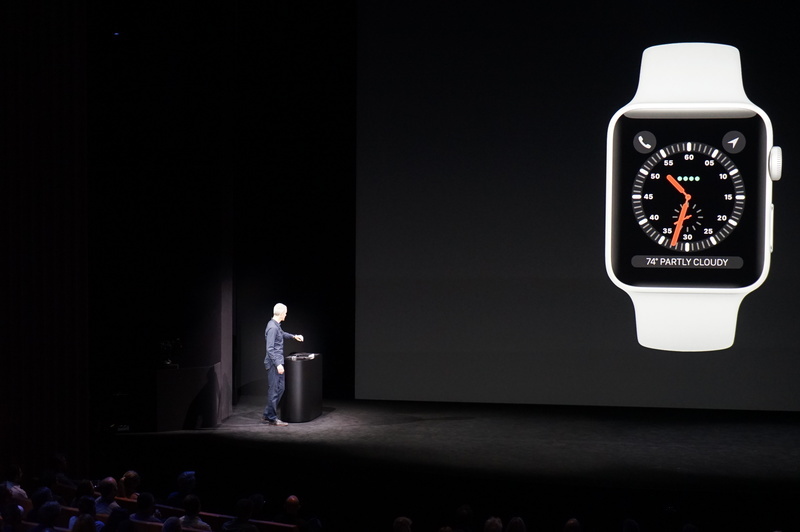 Ceramic returns, in gray this time, for Series 3. Wonder what the price is. 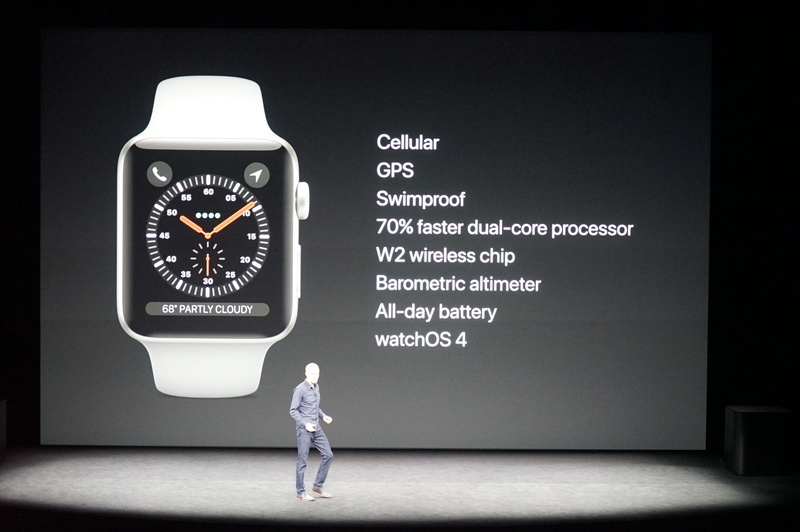 Series 3 summary -- faster, GPS, celluar, swimproof, all day battery life. 18 hours across mix of LTE and WiFi, Bluetooth. Cellular is $399 and non-Celluar at $329. Apple Watch Series 3 coming in 9 countries and the big 4 US carriers. Williams teases a special offer. 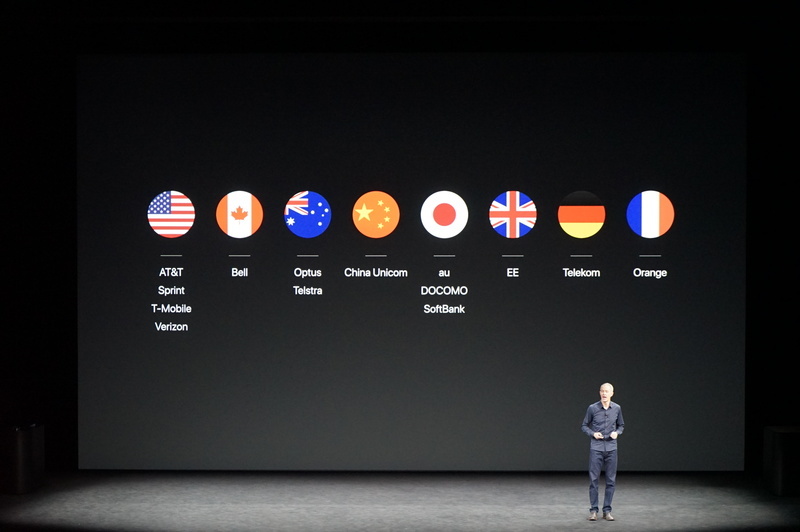 Series 3 without cellular available in 26 countries. 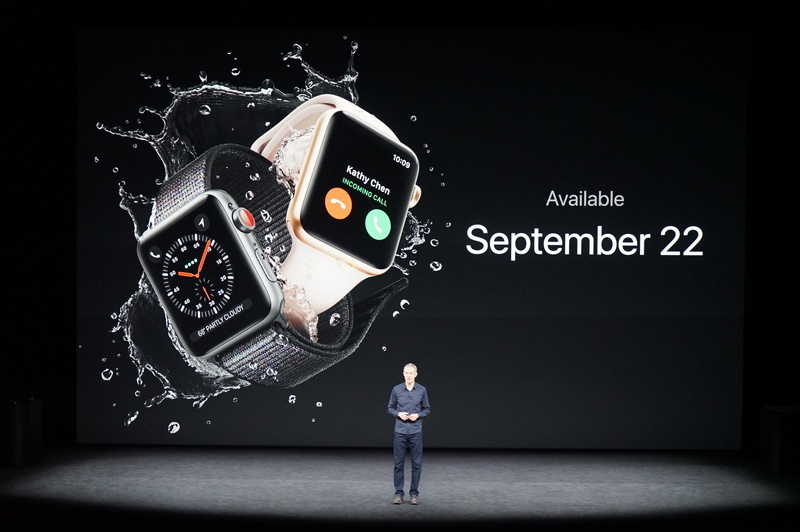 Sept 15 order, Sept 22 available for Apple Watch Series 3. Well, that's it. Not a huge pitch on why you want a phone on a watch, but the upsell price isn't huge. We have had a bunch of other cellular-connected smartwatches out there, but they haven't sold.